In this weekly column, we’ll be selecting inexpensive, discarded titles from still playable consoles for your perusal. They may be games you’ve heard of and remember playing, or they may be games that have flown completely off of your radar. Just know that we love them and they’re available on the cheap. That’s a bonafide win/win situation. If you have any favorite titles that you consider hidden gems, let us know in the comments below and we might feature your pick in the weekly column. Despite all of that, the game garnered this weird cult following. People that played Kirby Air Ride and gave this Nintendo title a solid chance actually wound up loving it, even with its set of flaws. It ain’t perfect, nobody’s saying that much, but it is a lot of fun. There’s a ton of value to be had in this GameCube title. If you can find it reasonably (think, maybe, the $20 range), you’ll be scoring a game with a lot of content on the inside. There are a vast collection of game modes meant for both multiplayer and single player experiences, and there’s a good amount of stuff to unlock and explore once you get up and hovering. 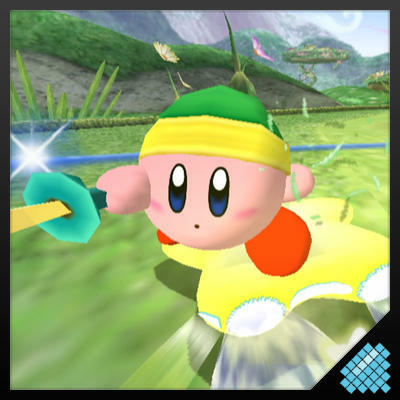 If you don’t mind simplistic controls and a game that is good but not perfect, Kirby Air Ride is a blast. I highly recommend this game for the multiplayer setting alone. If you’re looking for a nice, easy to learn, fun racing title, this is a great place to start. Be sure to check out our ever-growing list of Hidden Gems.